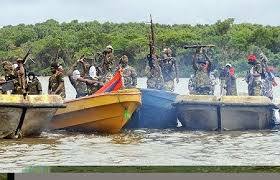 The group in a statement by its leader, Commander Olomubini Kakarakokoro, a.k.a No Mercy, said that, “Except our demand for Niger Delta Republic is granted, without further notice to the Federal Government, we shall proceed to bomb Bonga field flow station, Asaba- Onistha Bridge, Third Mainland Bridge and other major bridges in the Southtern part of the country, just for a start. This is music to my ear. Islamic Nigeria is not going to give you any freedom or allow referendum like civilized people do; you must take it by force with Africans - especially in an evil contraption called Nigeria.